Unlike other sunglass brands, we don't make you choose between style and optimal eye protection. But what do these terms mean actually, and how do these features affect you? 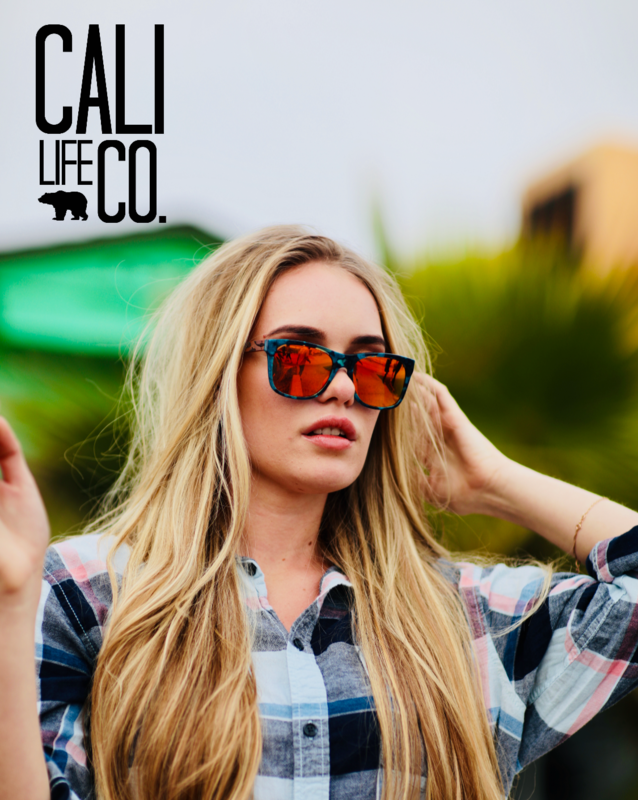 Let's explore the terminology and discover the benefits of choosing Cali Life Co. Wood Sunglasses! UV-400 Filters block 99-100% of harmful UVA & UVB rays. This refers to the Ultraviolet Radiation that penetrates the Earth's atmosphere from the sun. The UV Protection is embedded into the lens. It's imperative to only wear UV400 sunglasses for many reasons. If you wear dark lenses that don't come with this protection, you are actually doing more damage than wearing nothing at all! Dark lenses allow your pupils to dilate and allow even more UV light to enter, enhancing the problems associated. Did you know? The skin that surrounds your eyes is the thinnest skin on your body? Unfortunately that means it is very vulnerable to skin cancers! Not only do we need to protect our eyes, we also need to protect the skin surrounding our eyes! Up to 80% of the visible changes commonly attributed to aging may be caused by Sun Exposure! Macular Degeneration, the leading cause of blindness in the U.S. Even on cloudy days, a UV Filter is recommended! Don't take the risks associated with going unprotected, especially when it comes to your eyes! This goes for all ages! Polarization is a film comprised of tiny vertical filters undetectable to the naked eye. This microscopic feature reduces the reflection of sunlight from objects that surround you, i.e. glare from roads, buildings, streets and cars. This allows for better depth perception, and eases eye and facial strain when you need to focus clearly on a bright, sunny day. Polarization does NOT protect your eyes from UV damage, but as an add-on feature, it can make driving and other activities relatively easier, and is highly recommended if you have ever received LASIK surgery. You no longer have to choose between comfort, style, and price. Every pair has a Polarized & UV400 filter offering optimal eye protection. You don't need to be on a beach in California to need good lenses!